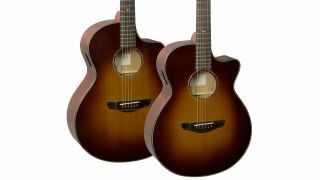 UK acoustic co Faith has added the Venus OM/Auditorium and Neptune baby-jumbo shapes to its Classic Burst acoustic guitar line. Joining existing Mercury parlour and Mars drop-dreadnought shapes, the new Classic Burst models offer red cedar tops, paired with mahogany tonewoods and a three-tone burst finish. 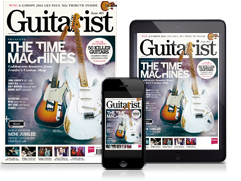 Tonally, the guitars promise to appeal to fingerstyle players, owing to a unique harmonic character. Both the Venus and Neptune are packing Fishman INK3 electronics, while solid Macassan ebony binding, fingerboard, headplate, heelplates, bridges and bridge pins round off the spec. The Classic Burst Venus and Neptune are available now for £939 and £949 respectively - see Faith Guitars for more info.